Internet users’ search for online video content is growing exponentially. Indeed, people are usually attracted by videos and are more likely to remember and refer to a video than to any other form of advertisement. Additionally they consider them as a more reliable source of information. Video marketing is still overlooked despite the fact that it is a powerful tool to drive traffic to your website and increase your Business dramatically. Furthermore, it is a very cost effective way of promoting your website. Since users are constantly searching for video content, search engines as Google incorporate video links in their organic results. If you are thinking about creating online videos to promote your business, it is essential to do it in the right way in order to optimize your search engine performance. Using keywords in the video title will help search engines to understand the content of your videos. In this way you will gain higher rankings for relative search terms. By including a brief optimized introduction to describe your video & transcript, search engines will be able to understand your videos’ content. 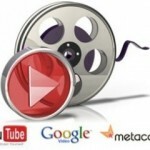 Users often use the word “video” when they search on search engines; add it in your title, description, meta data etc. By allowing users to provide feedback, your video will have greater views since not only they feel that they contribute to your business but also those who provide feedback are usually the ones that take action. Make sure you monitor and reply all the comments. You may want to add the video on your own website to gain visibility, but don’t forget: It is extremely important to publish your video on Youtube, Vimeo and any other online-sharing sites. Share it on Facebook, tweet about it on twitter, add bookmarks and be creative. As in all other forms of digital content, video’s landing page is judged by the same linking standards. You should build internal and external links, including cross-linking to other videos, bookmarks on the video, links from relevant web pages, etc. It is one of the most important factors to attract the viewer and make him choose to watch your video. Think of the image that best captures the essence of your video. Make sure it attracts your target group. Users are fond of setting up RSS feeds to their preferred content sources. Submitting your content to RSS will enable users to add you to their feed and review it in the future. Before launching any video marketing campaign, make sure you have more than one video to publish. In this way people that watched and liked your video will look for other videos from your business. The more viewers you have the more likely it is to appear first in the results. Do not forget that video marketing may offer new opportunities to drive more traffic to your site. Note that it is important to produce good quality material in order to promote effectively your business values and identity!